WITHOUT medical intervention Claire McCulloch would have grown to stand more than 2.5 meters tall. That is bigger than the average NBL player (1.98m) and too tall to fit through a standard door (2.04m). Diagnosed with a rare condition called gigantism, Claire has stood head and shoulders above her peers from the age of four. But the Twin Waters 11-year-old's rapid rise to great heights has been paused at 1.6m thanks to US surgeons. The Year Five student was diagnosed with gigantism at the age of seven after doctors discovered a 2cm tumour on her pituitary gland. The non-cancerous tumour caused the gland - located in the middle of the brain - to secrete too much growth hormone. "Every year she was getting taller and taller than her friends," her mother Toni McCulloch said. Ms McCulloch said doctors predicted Claire would grow to more than 2.5m tall without treatment and after exhausting all options available at home the family of three travelled to Washington D.C. in 2015 for help. There Claire, who was already 1.6m tall, was enrolled in gigantism study and underwent surgery to remove her pituitary gland as a last resort to save her from the life-shortening condition. Without a pituitary gland, Claire's body cannot produce the hormones it needs and she will need to be on full hormone replacement therapy for the rest of her life. 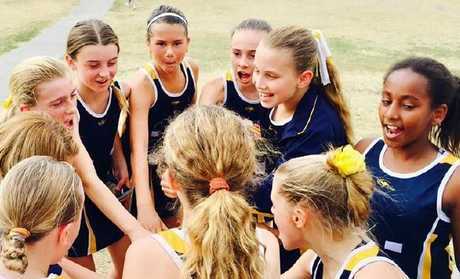 After undertaking surgery to remove her pituitary gland, Sunshine Coast tween Claire McCulloch is no longer the tallest player in her basketball team. Claire's growth, now controlled by medications, is on hold but Ms McCulloch said in a few years she would start on growth hormones so she could grow a bit taller. But for now the resilient tween is simply getting used to life as no longer the tallest member of her basketball team. "A Grade Four (student) is taller than me now; she plays basketball with me," she said. Ms McCulloch said throughout her ordeal Claire had maintained a "very positive attitude". "I know she wakes up not feeling 100 per cent every single day ... but she still gets up at 4.30 most mornings and swims for two hours," she said. 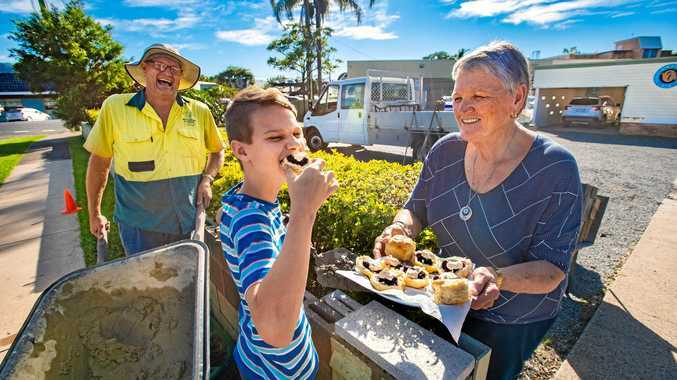 Brisbane endocrinologist Warrick Inder said every giant throughout history was believed to have had gigantism, but the condition, which only affects children, was rare. A new treatment, Somavert, for a similar common condition which affects adults called Acromegalee, is now available on the Pharmaceutical Benefits Scheme. November 1 is Acromegaly Awareness Day.